Is it time to restructure and simplify your real estate portfolio? Are you looking for ways to potentially benefit from the equity you've built up in real estate investments without losing your gains to taxes? Would you like to reduce the burden of daily property management for you and your family? Exchange a high maintenance property for a passive interest in a higher quality property without the management headaches. Sell your farm or ranch acreage and substantially increase your rental income. Sell non-income or low income producing property for a steady, tax-advantaged income stream. The Power to Protect, Grow and Diversify. Thanks to the Internal Revenue Code (IRC) 1031, a properly structured exchange allows an investor to sell an investment property, acquire a new property, and defer all capital gain and recapture taxes. This lets you reinvest sale proceeds that would otherwise be paid to the government as capital gains taxes, allowing you to generate even higher income. Whenever you sell investment or business property and you have a gain, you generally have to pay tax on the gain at the time of sale. 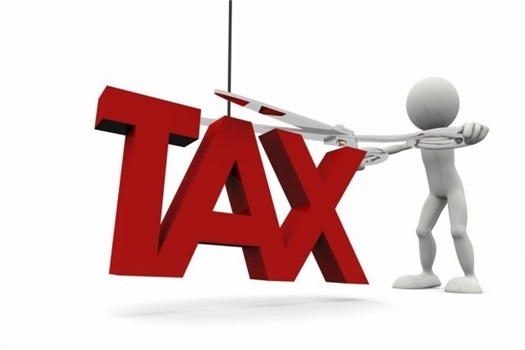 IRC Section 1031 provides an exception and allows you to postpone paying tax on the gain if you reinvest the proceeds in other investment property. There are, of course, very specific requirements that you must follow so that your sale transaction will qualify. All proceeds from the sale must go through the hands of a “Qualified Intermediary” (QI) and not through your hands or the hands of one of your agents. Otherwise, the entire cash proceeds from the sale will be subject to capital gains tax. The sale and the purchase transactions must be structured properly in order to qualify for tax-deferred treatment under a 1031 Exchange. The QI, often referred to as the 1031 Exchange Accommodator or the 1031 Exchange Facilitator, will complete the necessary legal documents to ensure that you are in compliance will all laws, regulations and rulings. A DST is an increasingly popular option for 1031 exchanges. It is a co-ownership, passive investment in Triple Net (NNN) leased properties, multi-family properties, medical buildings, office buildings, etc. and may be offered with one property or a diversified portfolio of large income producing properties with minimum investments as low as $100,000. With the successful use of tax-deferred 1031 Exchanges, a savings of 20% to 40% of capital gains tax and depreciation recapture on the sale of investment property can now be retained to acquire larger properties. The overriding advantage of a 1031 Exchange lies in the ability to move equity from property to property without having to pay the capital gains taxes. The possibility to trade up to larger and higher quality properties offer opportunities to own better quality institutional real estate. Exchange after exchange can be done creating a positive compounding effect by reinvesting the additional deferred taxes on each subsequent exchange. The deferred tax liability can ultimately be forgiven upon death of the investor, giving heirs a stepped up basis on inherited property. Alongside your CPA and attorney, we'll provide advice on choosing suitable replacement properties that meet your specific goals and needs. We work with Accredited Investors across the country who seek the benefits of a successful 1031 exchange. You don't need to wait until a property is under contract to get the process started! The information contained on this website does not constitute legal advice or tax advice. Legal advice, including tax advice, must always be tailored to your circumstances, and nothing on this web site should be viewed as a substitute for the advice of a competent attorney and tax advisor. Risks of an investment in a DST 1031 exchange include: • Tax laws are subject to change which may have a negative impact on a DST investment. • These investments are not suitable for all investors. Potential Drawbacks of DST Ownership: A DST investment is an investment in real estate; any investment in real estate is subject to market value and rental income fluctuations, tenant issues, vacancies, taxes and governmental regulations. There are costs and fees associated with a DST investment and management and the tax benefits must be weighed against the investment costs. A DST owner does not maintain management control or dictate day-to-day property management operations. DST ownership is also subject to additional IRS regulations that affect the management of the property and your ownership interest. Investors should investigate and thoroughly understand these issues prior to investing in a DST offering. DST investments are highly speculative and involve substantial risks. No public market is likely to exist for such investments, they are not freely transferable and substantial restrictions may apply to the transfer of interests.